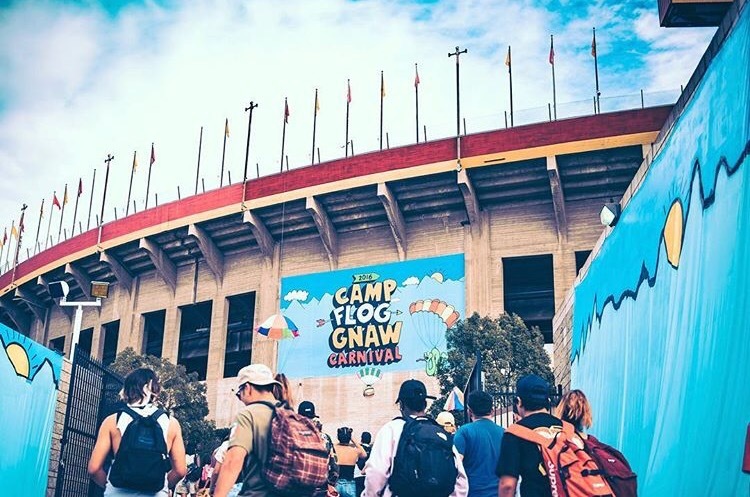 The 5th annual Camp Flog Gnaw Carnival starts today! The annual Camp Flog Gnaw Carnival, created by artist Tyler the Creator, will begin today in L.A. The event is filled with rides, music, food, and exclusive golf wang merchandise. 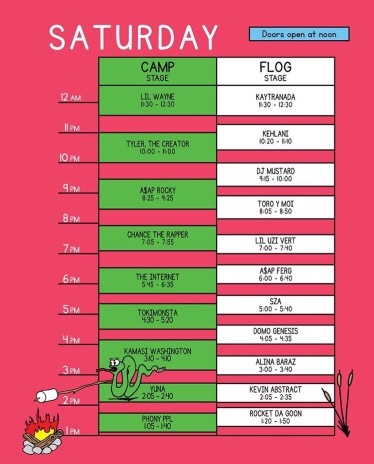 The music line up includes Tyler, Erykah Badu, School Boy Q, Toro Y Moi, Joey Bada$$, Kamasi Washington, Yuna, Action Bronson, The Internet, and more. This will be Tyler’s 5th year in a row hosting the successful carnival. 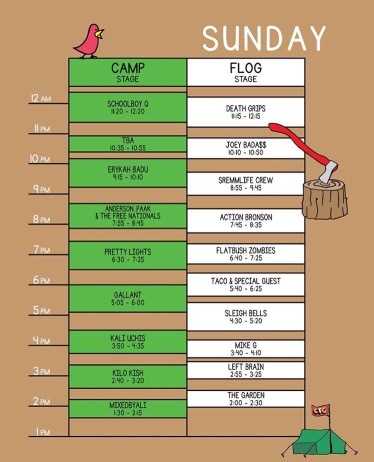 See the final set times below. Previous Post Princess Nokia releases music video for “Brujas”.